When My Bloody Valentine finally released m b v last year, we're guessing that Kestrels didn't hesitate ordering a copy. The noisy Halifax trio display a love for classic shoegaze on their new EP, The Moon Is Shining Our Way. Before it arrives on July 1 through Sonic Unyon Records, it's available to stream in full on Exclaim.ca. Opener "Eternal and Debased" starts the album with a blitz of ultra-fuzzy guitars, which are soon joined by hazily crooned vocals. This sets the tone for the noise-mongering collection, as "Wide Eyes" has traces of swirling psychedelia and punk, while the title track employs a melodic loud-quiet-loud structure, and "The Double" is slow and ominous in its heaviness. These songs were recorded at Toronto's Dream House Studios with Alex Bonenfant (METZ, Crystal Castles), with mixing from Claudius Mittendorfer (Johnny Marr, Neon Indian, Interpol). Scroll past Kestrels' tour schedule to listen. 07/15 Providence, RI - AS220 ! 07/16 Boston, MA - TT The Bears Place ! 07/17 New York, NY - Cake Shop ! 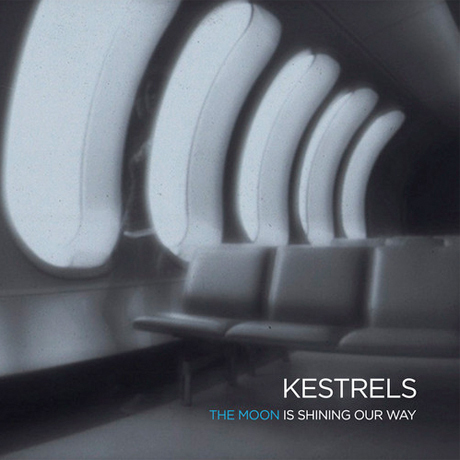 Kestrels Reveal New LP, Premiere "No Alternative"